OK, this is the FuturesPast-Editions blog, but I, publisher Jean Marie Stine, can't resist telling you about an all too short book I just read. But only because I never believed there could be a book this good, this arcane, despised, weird, off-the-wall, vaguely metaphysical, vaguely psychiatric, seriously controversial part of science fiction and paranormal studies history - or even a book about it at all, I have to share this with the half a dozen or so who might find it illuminating, amusing or just plain fascinating. For those in the know, this may be where you will want to stop reading, the book in question is in part about the Shaver Mystery, which would be impossible to explain or describe here. But you can read about it in this book. 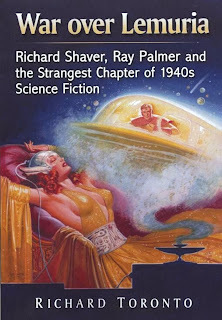 I discovered the Shaver Mystery at the tender age of 13 when I saw the July 1958 Amazing Stories with The "Dream Makers" in it at the corner newsstand and bought it. 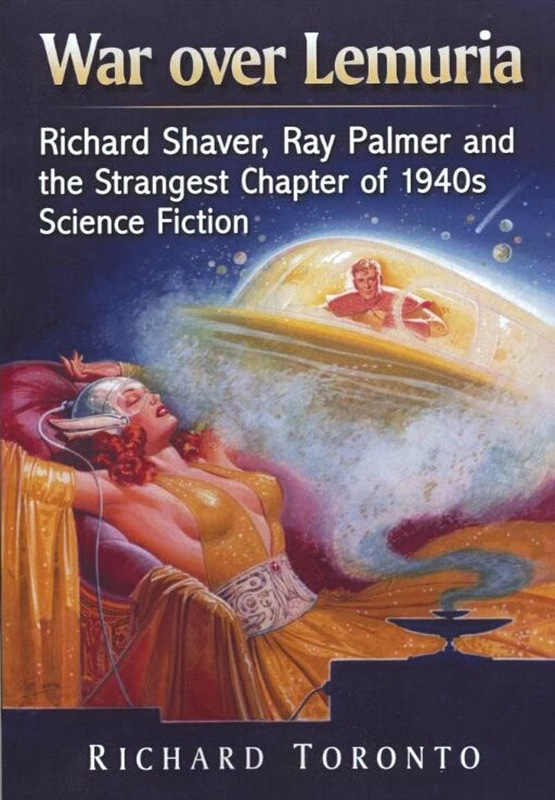 And have since read read not only the original Shaver Mystery stories, but own the mouldering old 1940s magazines in which they appeared, so I have read what Ray Palmer, editor of Amazing Stories, and the letter columns had to say. I have talked to people who knew Shaver such as Stuart J. Byrne and even Chester Geier and Ray Palmer's widow. Over the years I have also worked as an editor for some pretty rigorous popular science publishers, and talked to psychologists who have researched subjects like lucid dreaming, channeling, etc. 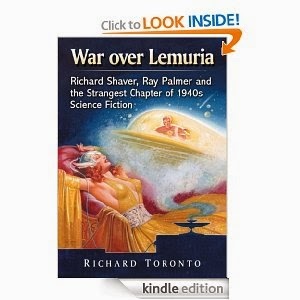 Oddly, when it is all winnowed, Richard Toronto's succinct and fair-minded study, The War Over Lemuria: Richard Shaver, Ray Palmer and the Strangest Chapter of 1940s Science Fiction, seemed to reflect my own conclusions. The section about how we view people who "hear voices" and the new perspectives of contemporary psychology on the subject contains implications worth noting. In short, for its brevity, it is the Shaver book I always envisioned but never dreamed any one would write. It is those who raise the inconvenient questions through whom we make progress.